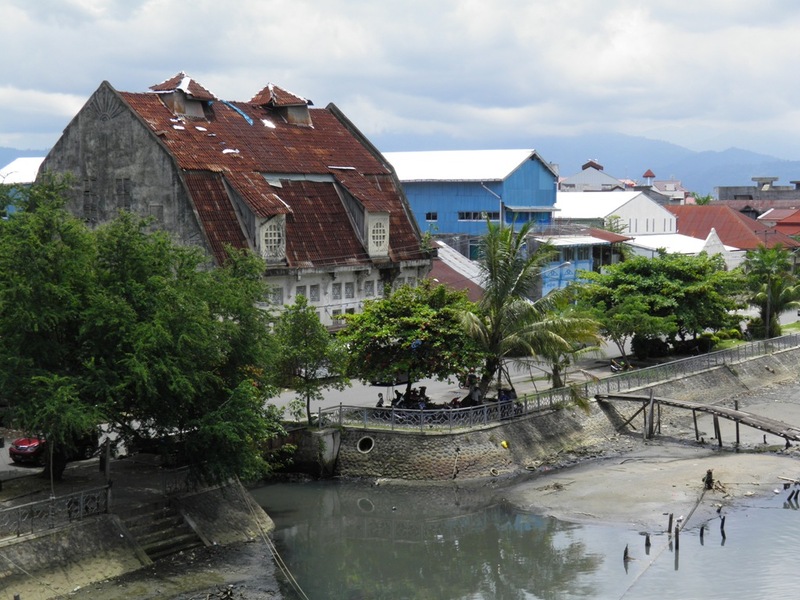 Padang, the capital of West Sumatra, was the most important city in Sumatra during the Netherlands East Indies era. The Dutch East Indies Company (VOC) established a fortified trading post in 1665 at Muara Padang on the estuary of the Batang Arau River. The settlement was attacked by the British in the mid-18th century and held for some time but it was later handed back to the Dutch who ruled for over two centuries until 1942. 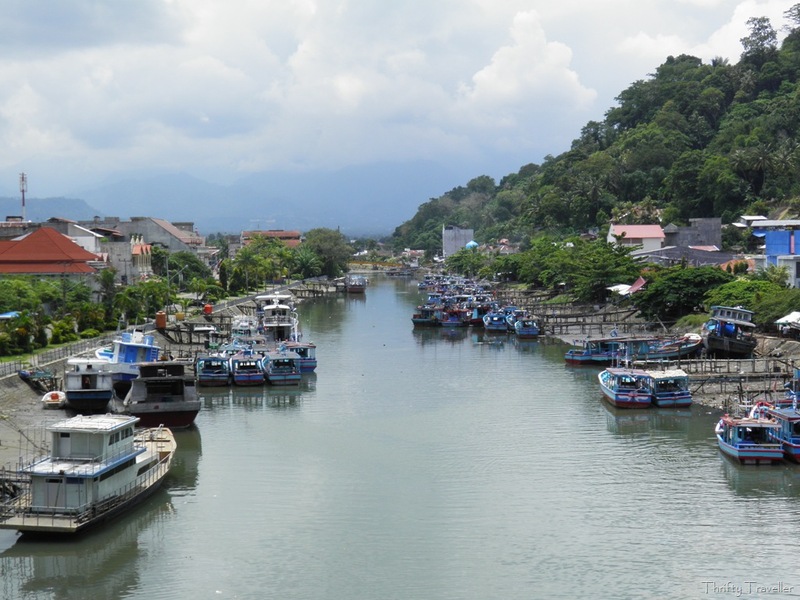 Padang grew into an important gateway for the export of spices. Warehouses, trading offices and banks sprang up along the banks of the river around Jalan Batang Arau. 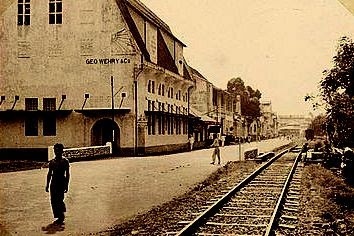 I took a walk along this street recently to see what remains of Padang’s colonial past. This old building stands near the mouth of the estuary. 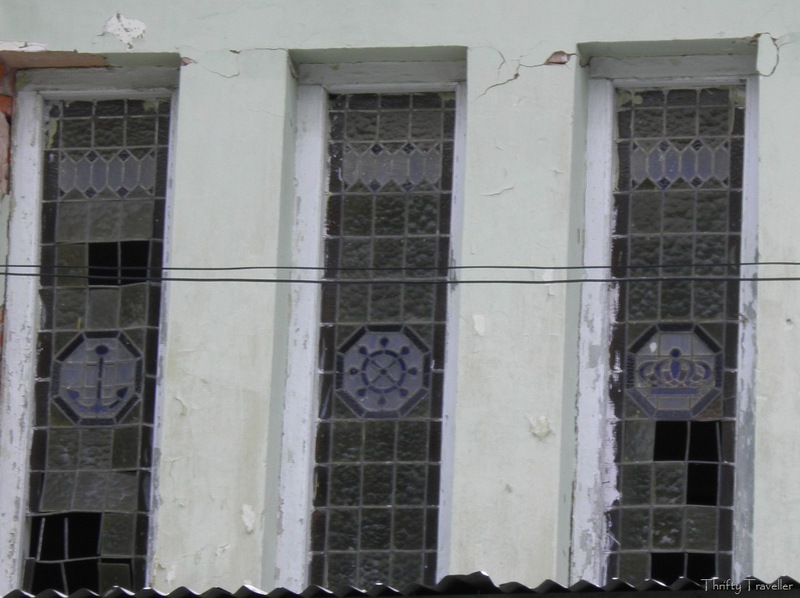 It appears to belong to the military and judging by the crown and anchor symbols on the windows it may have been a Dutch naval office. A couple of doors away (at No. 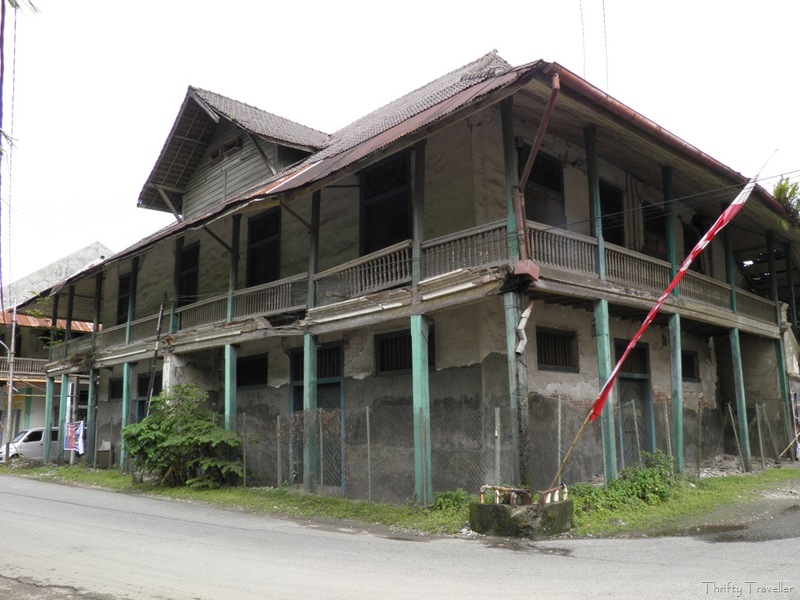 72 Jalan Batang Arau) is this Dutch heritage warehouse building which is believed to date from the 19th century and is one of the oldest buildings still standing on this street. Next door is a building which could have been a bank. The more impressive building nearby was the former De Javasche Bank branch, designed by the architectural firm of Fermont – Ed Cuypers of Batavia and inaugurated in 1925. 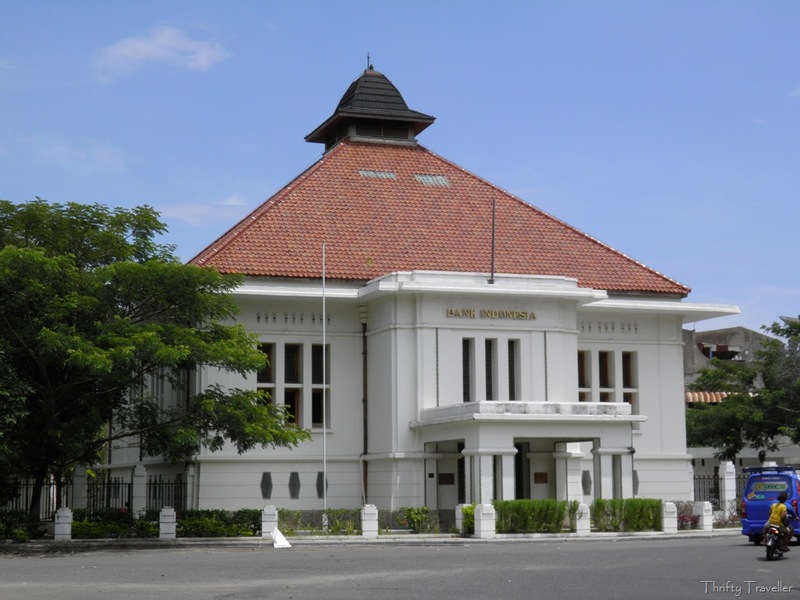 From 1953 to 1977 it was used by Bank Indonesia before being designated as a heritage building in 1998. Conservation work was completed in August of 2010. 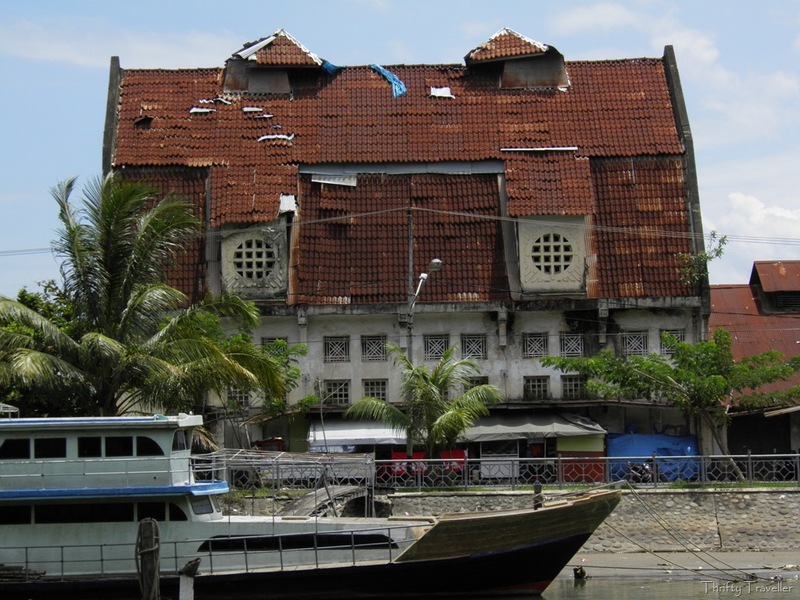 The pyramid roof shape was a characteristic of colonial Dutch buildings in Indonesia and served for ventilation purposes. 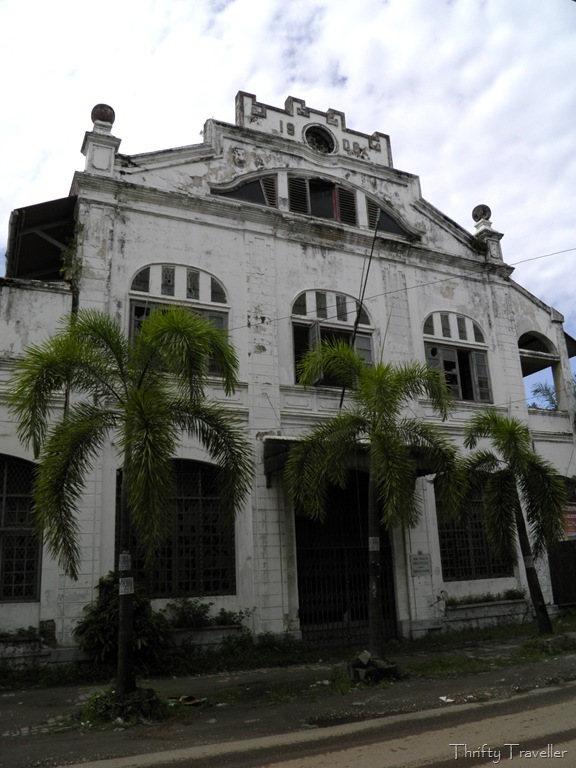 The Panca Niaga Warehouse at number 58, Jalan Batang Arau is the most Dutch looking of all the buildings on this street. 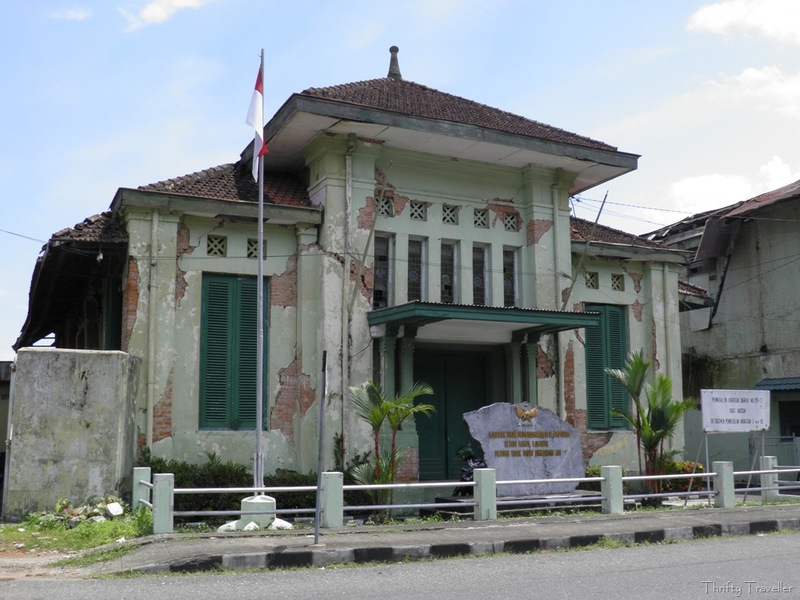 It was the Padang headquarters of the Nederlandsche Handel-Maatschappij, the Dutch trade company which superseded the famous VOC (Vereenigte Oostinische Compagnie). 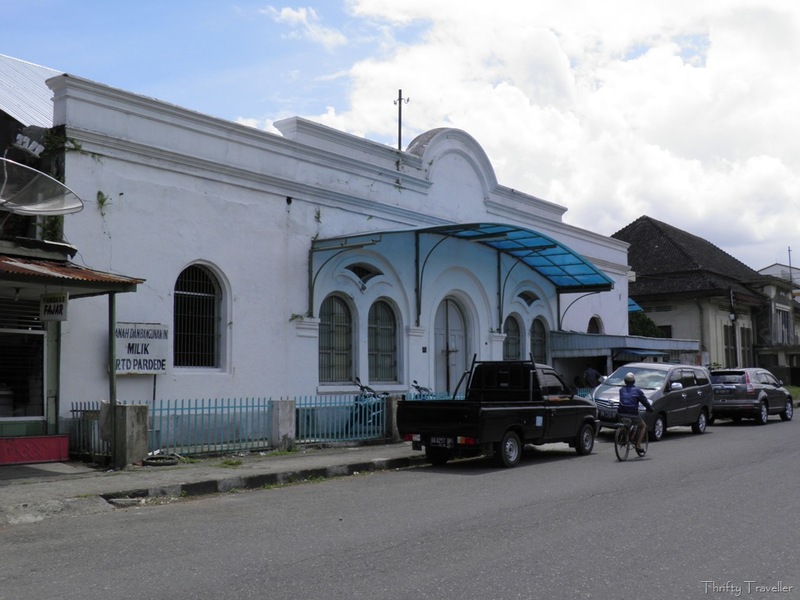 Like many other buildings in Padang, it was damaged by the major earthquake which hit the city in 2009, but it is still in use. One of the staff kindly invited me inside to take a look. It appears to be used as a warehouse for toilets! No. 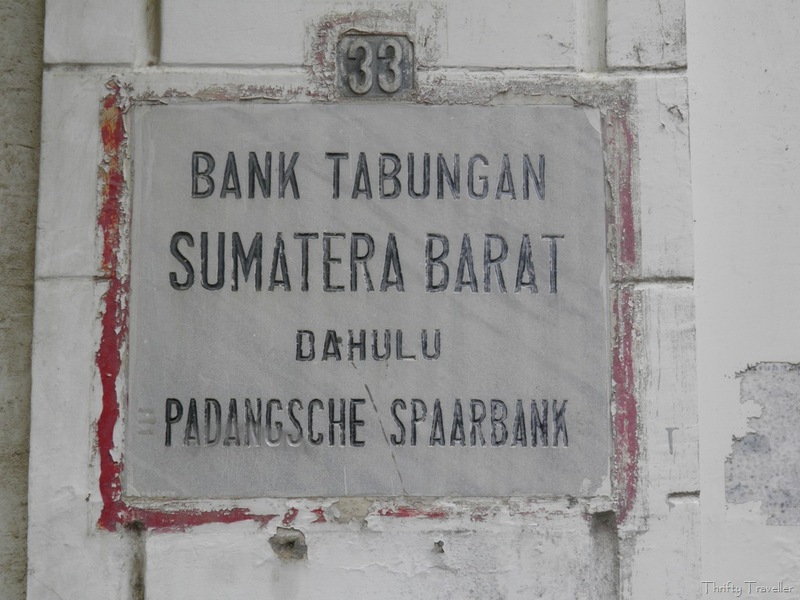 33, Jalan Batang Arau is the former Padangsche Spaarbank building dated 1908. 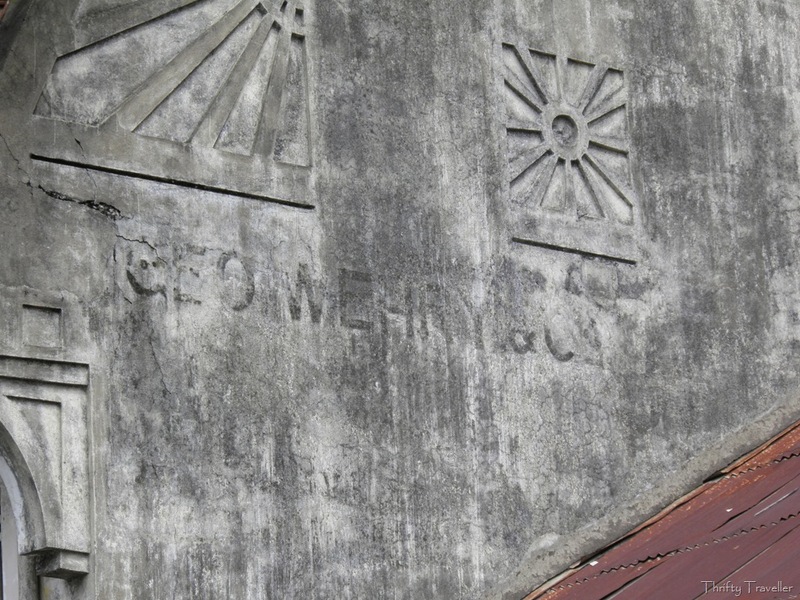 An American couple converted it into the Hotel Batang Arau some years back and I was looking forward to having my lunch there until I found out that it closed down around 2009, possibly following the earthquake. The building is now abandoned and forlorn. 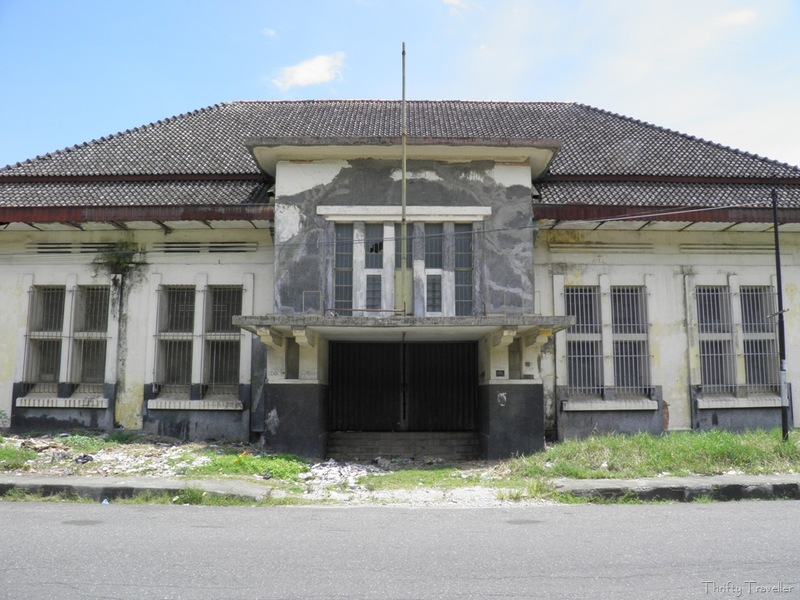 This area of Padang has tourist potential and many of the buildings are ripe for restoration and could be put to alternative uses such as boutique hotels, restaurants, shops or clinics. The local government has recognised this and most of the structures here are protected but that won’t stop them falling down if prompt action is not taken.